Rabbi Lord Jonathan Sacks is an international religious leader, philosopher, award-winning author and respected moral voice. He was awarded the 2016 Templeton Prize in recognition of his "exceptional contributions to affirming life's spiritual dimension." Rabbi Sacks is frequent and sought-after contributor to radio, television and the press both in Britain and around the world. Since stepping down as the Chief Rabbi of the United Hebrew Congregations of the Commonwealth - a position he served for 22 years between 1991 and 2013 - Rabbi Sacks has held a number of professorships at several academic institutions including Yeshiva University and King's College London. He currently serves as the Ingeborg and Ira Rennert Global Distinguished Professor at New York University. Rabbi Sacks has been awarded 17 honorary doctorates including a Doctor of Divinity conferred to mark his first ten years in office as Chief Rabbi, by the then Archbishop of Canterbury, Lord Carey. Rabbi Sacks is the author of over 30 books. Among them, Rabbi Sacks has published a new English translation and commentary for the Koren Sacks Siddur, the first new Orthodox siddur in a generation, as well as powerful commentaries for the Rosh HaShana, Yom Kippur, Pesaĥ, Shavuot and Sukkot Maĥzorim. His most recent work, Not in God’s Name: Confronting Religious Violence was awarded a 2015 National Jewish Book Award in America and was a top ten Sunday Times bestseller in the UK. Past works include: The Great Partnership: God, Science and the Search for Meaning; The Dignity of Difference: How to Avoid the Clash of Civilizations, winner of the Grawemeyer Prize for Religion in 2004 for its success in defining a framework for interfaith dialogue between people of all faith and of none; To Heal a Fractured World: The Ethics of Responsibility; and A Letter in the Scroll: On Being Jewish, winner of a National Jewish Book Awards in 2000. His Covenant & Conversation commentaries on the weekly Torah portion are read in Jewish communities around the world. 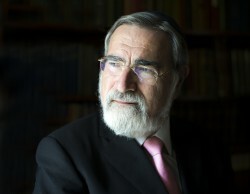 In recognition of his work, Rabbi Sacks has received, among others, the Jerusalem Prize in 1995 for his contribution to diaspora Jewish life, The Ladislaus Laszt Ecumenical and Social Concern Award from Ben Gurion University in Israel in 2011, The Guardian of Zion Award from the Ingeborg Rennert Center for Jerusalem Studies at Bar-Ilan University in 2014, and The Katz Award in recognition of his contribution to the practical analysis and application of Halakha in modern life in Israel in 2014. He was named as The Becket Fund's 2014 Canterbury Medalist for his role in the defense of religious liberty in the public square, and won a Bradley Prize in recognition of being "a leading moral voice in today's world." Rabbi Sacks was knighted by Her Majesty The Queen in 2005 and made a Life Peer, taking his seat in the House of Lords in October 2009. 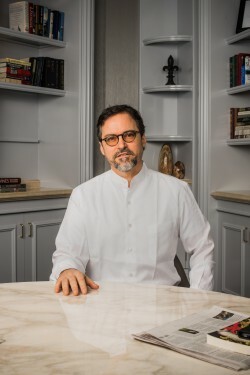 Shaykh Hamza Yusuf is president and senior faculty member of Zaytuna College, America’s first accredited Muslim liberal arts college. He is an advisor to the Center for Islamic Studies at Berkeley's Graduate Theological Union. In addition, he serves as vice-president for the Forum for Promoting Peace in Muslim Societies (Abu Dhabi), which was founded and is currently presided over by Shaykh Abdallah bin Bayyah, one of the top jurists and masters of Islamic sciences in the world. He is the author of several books and scholarly articles, and has translated major creedal Islamic texts into English. Books he has authored or translated include: Purification of the Heart, The Content of Character, The Creed of Imam al-Tahawi, Caesarean Moon Births, Prayer of the Oppressed and Agenda to Change our Condition. Recently, Shaykh Hamza Yusuf was ranked as "the Western world's most influential Islamic scholar" by The Muslim 500, edited by John Esposito and Ibrahim Kalin. 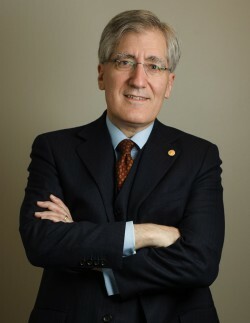 Along with his extensive training in the Western liberal arts, Yusuf has studied Arabic and the Islamic sciences for over 40 years with leading scholars of the Muslim world.